It just amazes me the ideas that people come up with to capture memories. I never know who sees things on Facebook and who doesn’t so I am sharing a few things I saw recently that I thought were worth a view. 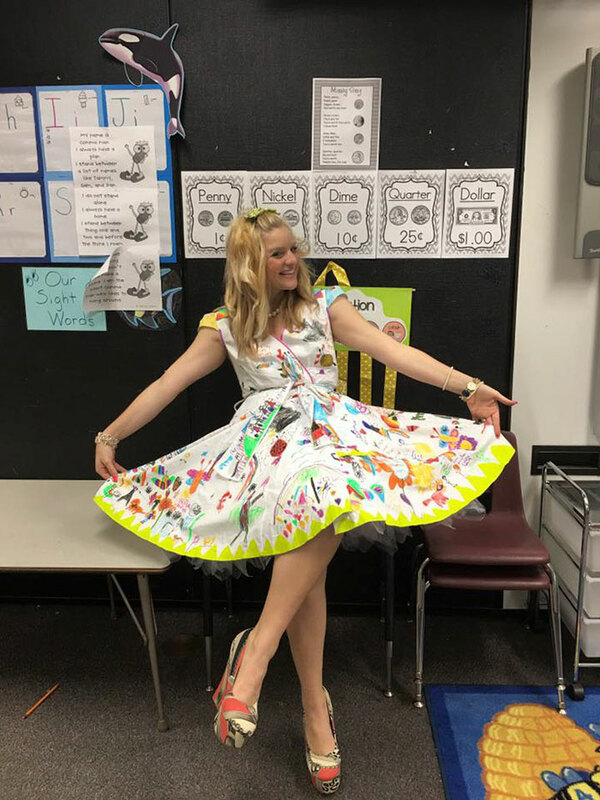 Sha-Ree’ Castlebury a first-grade teacher from Lawton, Oklahoma bought an inexpensive white dress and some fabric markers and had her students draw on it over the last 2 weeks of school. 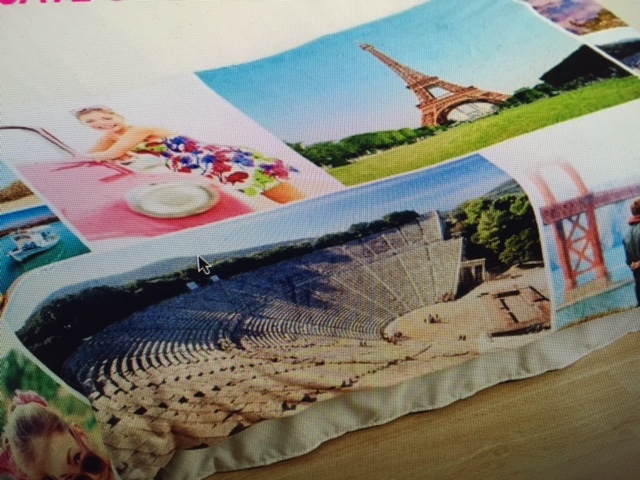 Collage.com is marketing a fleece photo blanket that looks like a great alternative to those photo quilts people want to make but are afraid of the photos washing away. 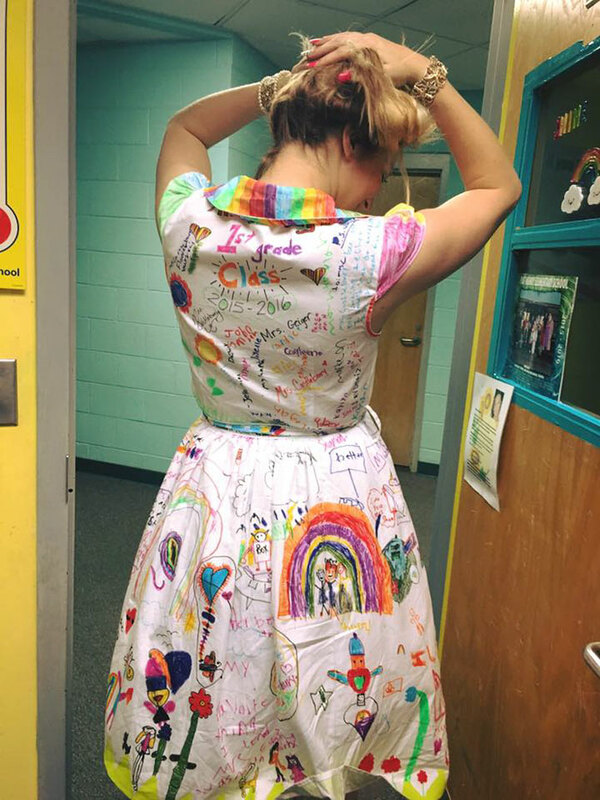 I am one of those who does not put photos in quilts that are going to be washed because I have heard so many horror stories about the photos disappearing in the wash either right away or after multiple washings. This looks like a great option for those kinds of quilts. Check out the link below for more information.